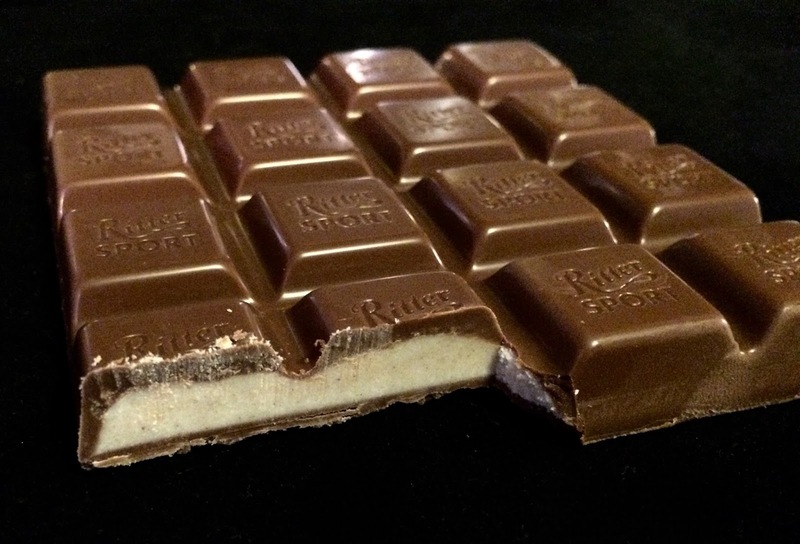 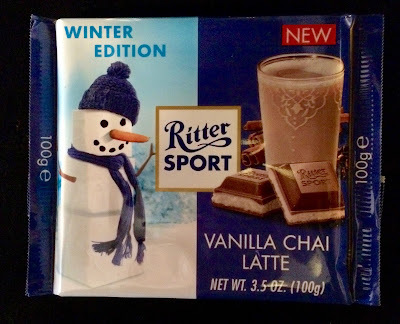 Ritter Sport's new Winter Edition Vanilla Chai Latte chocolate bar did not taste at all to me like the genuine beverage. Instead, the powdery filling was a strong vanilla base with a bunch of cinnamon and nutmeg flavorings thrown in. 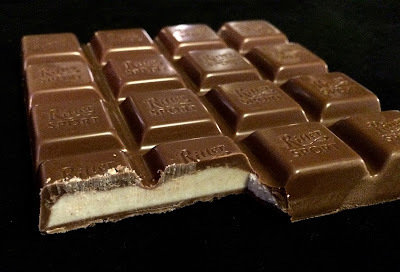 It was far too sweet, and the filling's consistency was so dry. 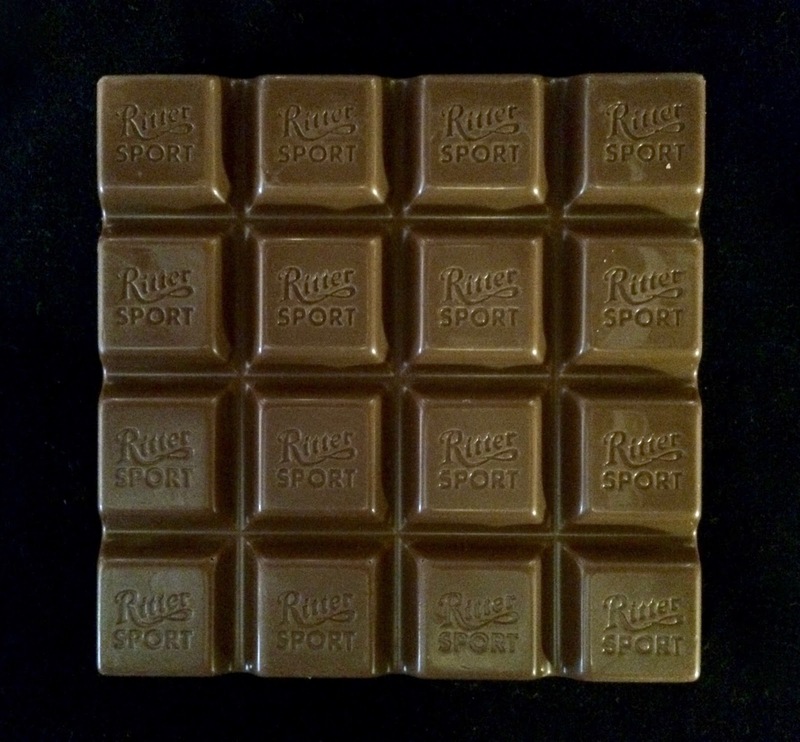 I love the Ritter Sport line, but this one was a clear miss.